Dr. Deepak Chopra and Dr. Larry Smarr Talk About the Microbiome and Hologenome! I watched a fascinating interview today, with Dr. Deepak Chopra interviewing Professor Larry Smarr about the microbiome and its implications. Many topics were covered, including our identity/”who we are” as a metaspecies or Holobiont. They also spoke about the influence of the microbiome on the brain and on mood. For any of you reading this who have not come across the term before, holobiont theory is the concept that humans (and all eukaryotic organisms actually!) are not singular organisms but function as a “superorganism” that is composed of a larger host organism (human in our case) and all of its symbiont organism populations. In our case this is the trillion-plus population of symbiotic gut bacteria that extends to much of the rest of our body. The reason for considering us a superorganism or holobiont is that without these bacteria, the human brain, immune system, hormonal/endocrine system and digestive systems do not function normally at all. Our mind itself, that refuge of “self” that we mentally and emotionally exist within, is influenced and even somewhat controlled by populations of gut bacteria. As Dr. Smarr states, “If your microbiome is unhappy, you will be unhappy.” It is truly wonderful to see the core concepts of hologenome theory being discussed from an increasingly diverse group of people. 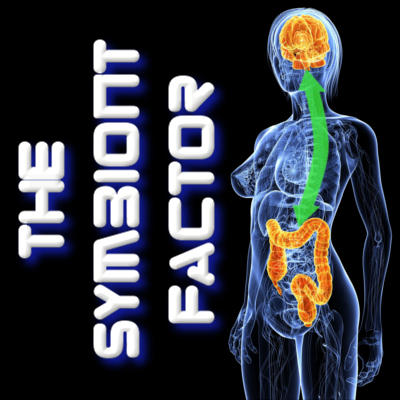 Since the symbiont bacteria outnumber the host cells at least 10:1, to not acknowledge the microbiome is to ignore 90% of what we are! Dr. Chopra points out also that meditation can help the microbiome, as can proper diet. Dr. Smarr is a fascinating individual, an astrophysicist and computer scientist now working on quantifying and understanding the human body and its microbiome. The interview is worth watching/listening to! This entry was posted in Uncategorized and tagged bacteria, chopra, deepak, gut, holobiont, hologenome, kefir, kombucha, larry, meditation, microbiome, microbiota, probiotics, smarr, superorganism, symbiont, symbiotic, vegan, yoga on April 22, 2014 by Dr. Richard Matthews.